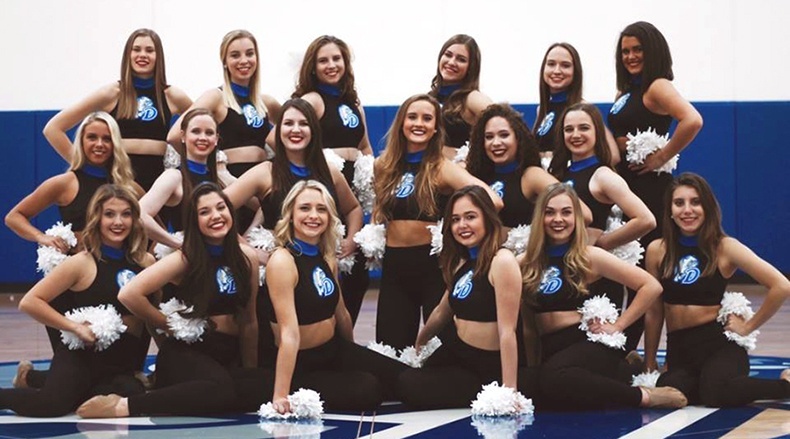 The Drake University dance team is a student run and student funded organization, which means the girls are responsible for EVERYTHING: from cutting the music for their performances to raising money to buy new dance team uniforms! 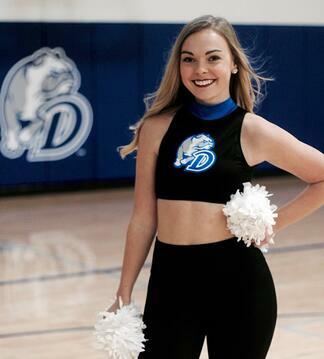 "We wanted costumes that were affordable yet allowed us to look like a cute and respectable college dance team," said team member Courtney Jasper. Understanding the need for a great uniform on a budget, we helped the team modify two online styles with the team's colors and logos, instead of creating a design from scratch. This allowed for a custom look that was also budget friendly! 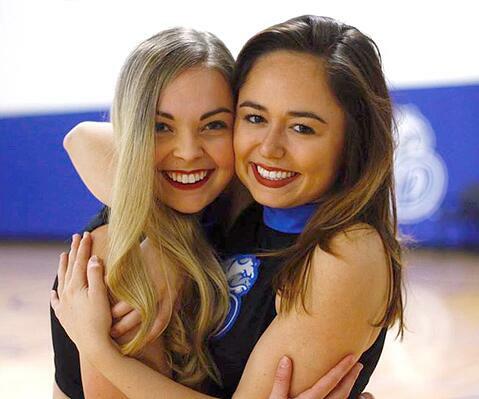 "We have gained a large amount of respect on campus as well as a lot of pride in the team, which are largely in part to the new outfits," said Jasper. We loved these crisp, new looks, congrats on a great season ladies! Check out more Q & A with the team below. Since we are a student run organization we don't have a coach so we have to do all of our own music, choreography, as well as setting up appearances, and communicating with outside vendors. While it might sound like something that would cause a lot of drama or difficulties between girls I believe it helps to hold us accountable as well as often forces us to push each other to become better, which we might not have been as inclined to do if we had a coach. What were you most excited for this season?! 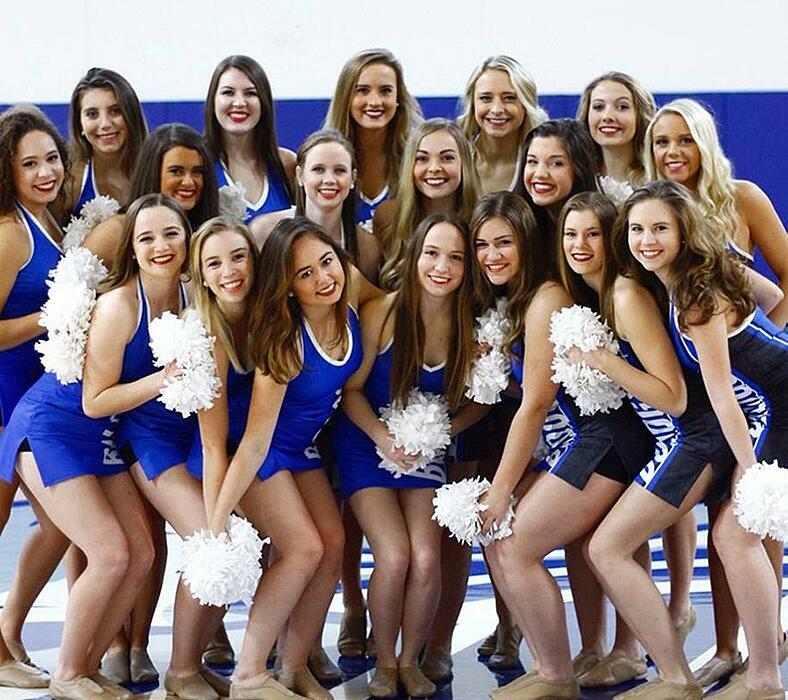 We are excited to continue to dance at basketball games as the season for the men and women's team continue to do great. We also are looking forward to performing at Drake University's Relay for Life in the spring. What was your team's biggest challenge/opportunity this season? Our biggest challenge this past season has been constantly trying to top what we did at our last performance. This past year we took on ten incredible rookies which was exciting because they brought a significant amount of talent and drive to the team. With our new outfits and new found talent we have gained a very positive reputation on campus that we are working hard to uphold.